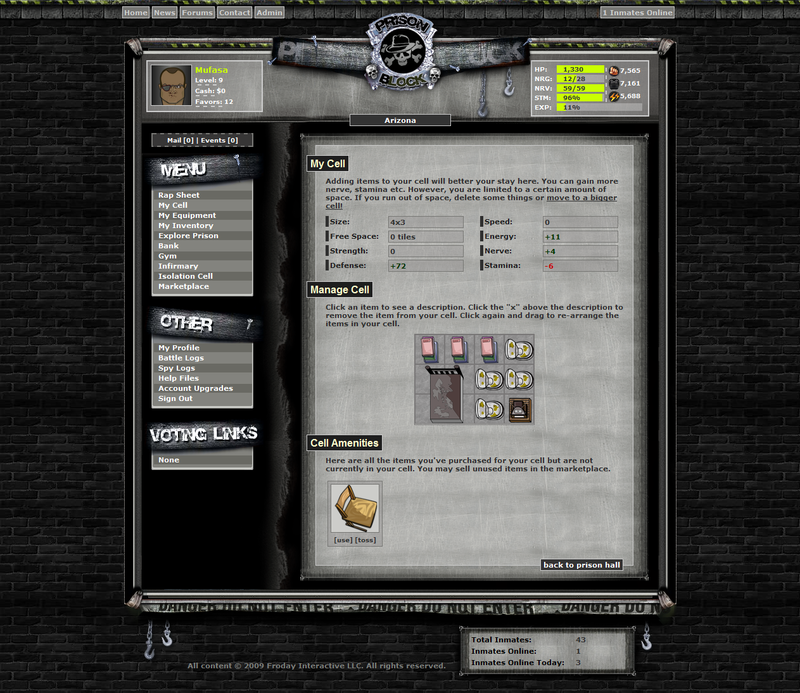 Prison Block is a browser-based, prison themed RPG created by Idle Media Inc. Players can fight against an inner mafia group within a prison scene by joining with a gang, starting up a new gang and battle it out to see who will be the last men standing. Power up: Battle through the prison world and level up your character's HP, energy, stamina and many other stats. Multiple prisons Get set off to multiple prisons located in New Jersey, Arizona, South Dakota and more. 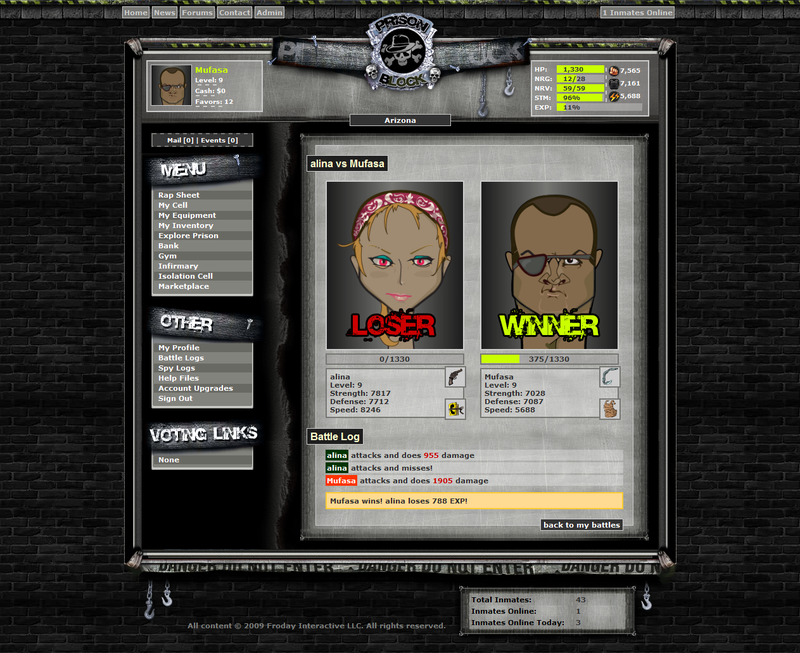 Gang warfare: Join a gang or start your own in order to survive against the competition. PvP Enjoy various forms of PvP including Attack, Mugging, Spying and Cell Raiding.